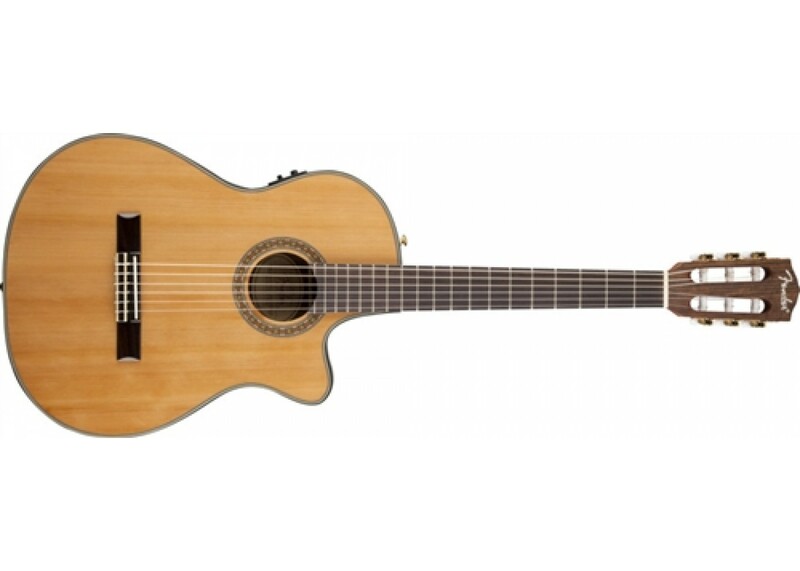 Fender® CN240-SCE Thinline makes a perfect crossover instrument for electric players and beginners looking for a great classical guitar. It is a stunningly crafted classical model with a smooth 2.75 inch deep thinline body, a slim-profile mahogany neck for comfort while playing and modern electronics for great performance on and off the stage. Its body sports a solid cedar top with traditional fan bracing that is strong and resonant, with rosewood back and sides for rich, full voicing. 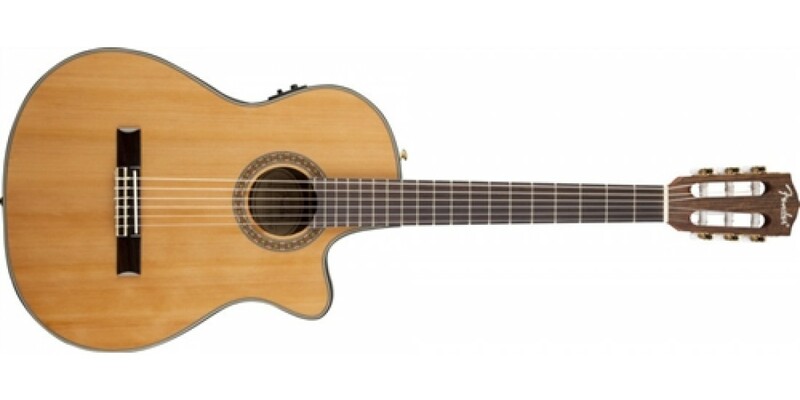 Other features include neck and body binding, traditional classical rosette, 19-fret rosewood fingerboard with bone nut, rosewood bridge with compensated bone saddle, gloss finish and Fishman Isys III active pickup/preamp system with volume control, three-band EQ and a useful onboard tuner.